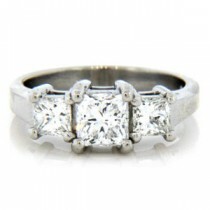 Our exquisite collection of 3 stone diamond rings celebrates timeless love. 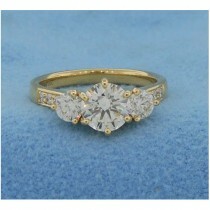 The three-stone rings symbolize your past, present and future life together. 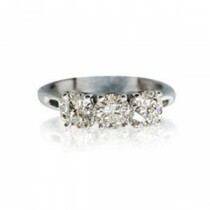 At A. Fishman & Son you can own a handcrafted ring featuring stones of different colors or the classic look of three shining diamonds. 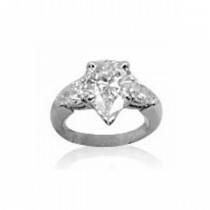 Our quality 3-stone diamond ring selection includes magnificent rings for popping the question or saying “I love you forever.” On our site, you’ll see diamond rings with three stones that are custom designed by us. 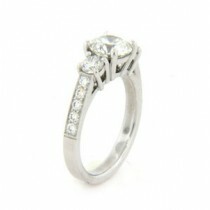 As a jewelry designer and manufacturer, we make our own rings and own the diamonds we use. 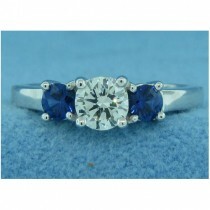 So we can give you personalized assistance in choosing a center stone to complement the other two diamonds. 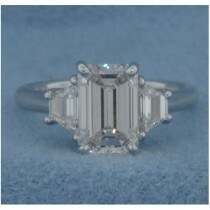 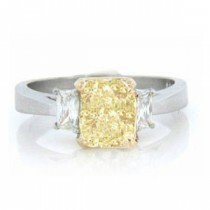 A platinum mounting with two trilliant cut diamonds looks elegant with a radiant cut center stone. 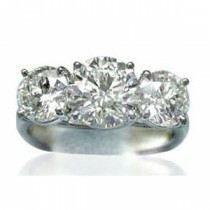 Three round cut diamonds can also harmonize beautifully in one diamond ring. 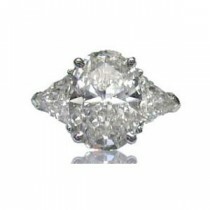 All of our ring settings for three diamonds can be customized to accommodate a variety of center stone carat weights. 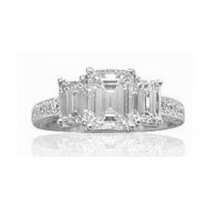 The certified diamonds in our three stone engagement rings share classic beauty. 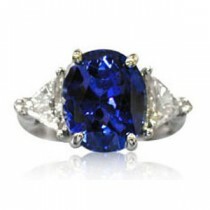 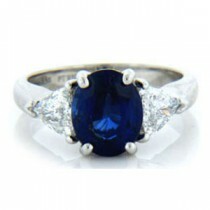 You might also consider the intriguing appeal of two diamonds next to a gorgeous sapphire. 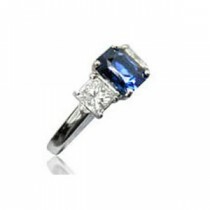 The perfect mountings for your three precious stones are handmade at A. Fishman & Son. 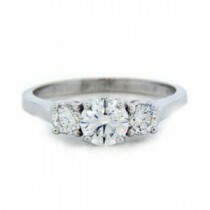 And we know our diamonds because they’re hand-picked by us. 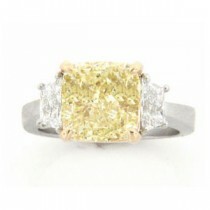 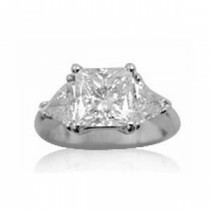 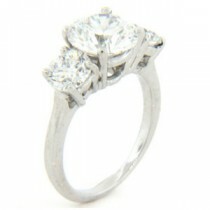 So we provide you with detailed information on your three-stone diamond engagement ring. 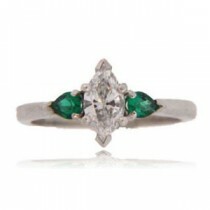 Have you seen a ring you like but you’re unsure of its quality? 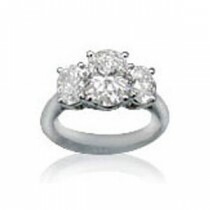 Trust our expertise. 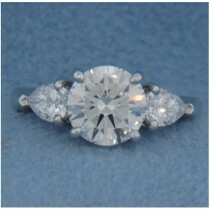 We’ll create the engagement ring of your dreams. 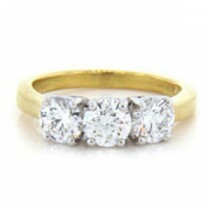 A. Fishman & Son is the well-established jeweler who works with every customer personally. 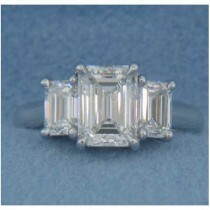 That’s why you won’t see a shopping cart on the best diamond store for you.